Argentine Marxist revolutionary and guerrilla leader who helped overthrow the Cuban government during the 26th of July Movement in 1959. He has become an icon all over the world for class struggle and leftist political movements. 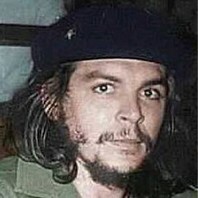 How much is Che Guevara worth? I know you have come to kill me. Shoot, coward! You are only going to kill a man.